Decay and cavities are significant factors contributing to people’s loss of teeth. So many people around the globe are facing oral health issues. In South Miami alone, millions are victims of periodontal disease. To counter this, we, at Somi Dental Group, provide effective oral care solutions, one of them being deep teeth cleaning. Lead dentist Dr. Arnaldo Lopez, DDS, is well-poised with his expertise and experience to relieve people of their oral health issues. He and his team at Somi Dental provide top quality teeth cleaning Miami residents rely on. Periodontal disease is an oral health issue that is characterized by infection below the gum line, inflammation of the gums, and the presence of disease-causing bacteria in the mouth. Such a bacterial infection can often lead to other health problems as the bacteria can travel through the body. Gum disease may appear harmless initially, but, eventually, culminates in severe symptoms. Tenderness of gums and pain along the gum line are the first signs that there is an issue. Chronic bleeding while brushing and eating is evident, and may eventually lead to bone destruction, teeth shifting, and tooth loss. Diabetes- weakens the gums and bone tissue by constricting the removal of harmful waste in the mouth. Tobacco smoking- weakens the body’s immune system and ability to fight gum infection. Grinding and clenching- forces damage the teeth’s supporting tissues, creating larger gaps for bacteria to grow. Stress- the delicate balance of immune cells is thrown off from stress, causing inflammation and eventually gingivitis. Hormonal fluctuations- affects the blood supply to the gums and the body’s ability to flush out toxins in the mouth. Certain medications- can cause swelling and overgrowth of the gums, providing space for bacteria. Poor nutrition- eating excessive sugar or failing to eat nutrient-rich foods damages the teeth, gums and supporting structures. Deep teeth cleaning, also known as root planing and scaling, is one way you can get rid of periodontal disease. At Somi Dental Group, we are well-equipped and well-trained to perform different types of teeth cleaning. We strongly believe that preventive care is essential for maintaining good oral health. We aim to keep our patients as healthy as possible, and the best way to do so is by providing effective and routine teeth cleaning services. Reviewing your medical history, which includes gathering information about any heart problems or health issues you may have. (All these factors have a significant effect on your oral health). Examination and screening for oral cancer. A thorough evaluation of your gums. Observing your biting and chewing patterns. Taking x-rays to examine your teeth for potential decay or cavity. Prophylaxis cleaning: This is preventive cleaning technique that is used for patients who have good oral health in general. 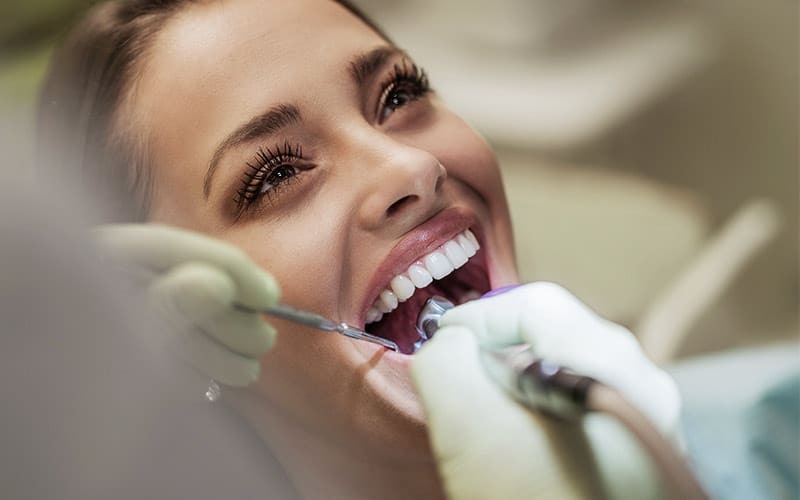 Periodontal prophylaxis: This technique involves a complete cleaning of your teeth after performing a periodontal treatment. These cleanings are important to ensure that gingivitis or periodontal disease does not progress. This technique removes plaque and tartar from both above and below the gum line and smoothens the roots of your teeth. Gross Debridement: This technique is more suitable for patients who have gingivitis. This allows better probing and visibility in the diagnosis and evaluation of periodontal disease. Scaling and polishing: This procedure usually succeeds the gross debridement procedure. It ensures complete removal of tartar from under the gums and is suitable for patients with moderate to serious periodontal disease. Prevent decay and cavities by removing tartar and plaque, which are highly acidic substances (they gnaw into your enamel and cause decay, which can lead to loss of teeth). Prevent halitosis (bad breath) by removing bacteria from above and under the gum line. Early detection of serious oral health issues. Improves aesthetics and gives you a brighter smile. Poor oral hygiene is one of the major reasons behind periodontal disease. If you are facing dental health issues, teeth cleaning at Miami‘s Somi Dental Group can be an invaluable choice. We will be more than happy to help you. Get in touch with us today!